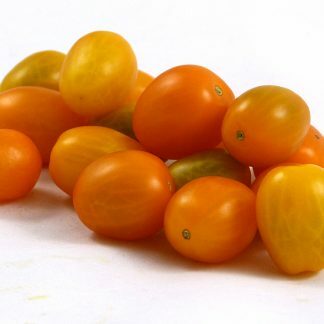 “Gold Pearl” is a very pretty micro-dwarf tomato, producing fat yellow cherries with a little dusting of purple anthocyanin on the shoulders when fruiting in cold weather. The bit of purple does not express itself in warm weather fruiting. 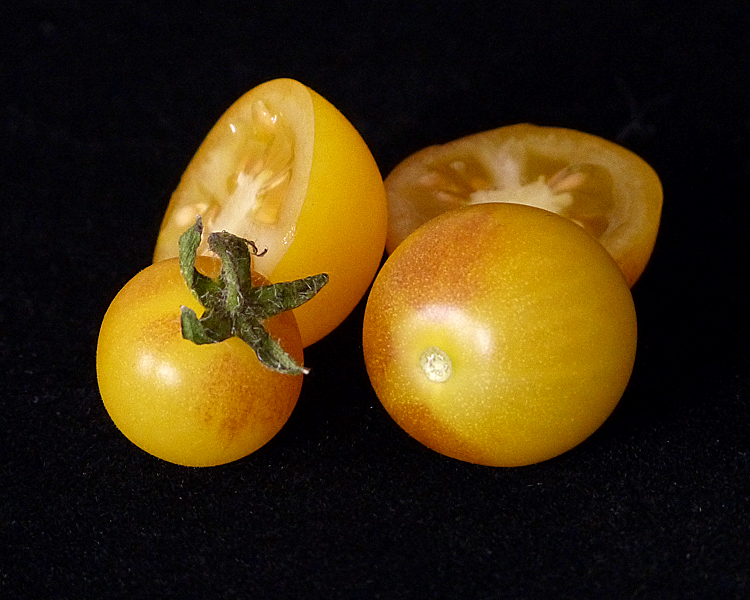 Gold Pearl does not have the rugose leaves and thick central stem that I see on true micro-dwarf varieties. Rather than stopping around 12″ tall, this one grows to 15 to 16″ tall. 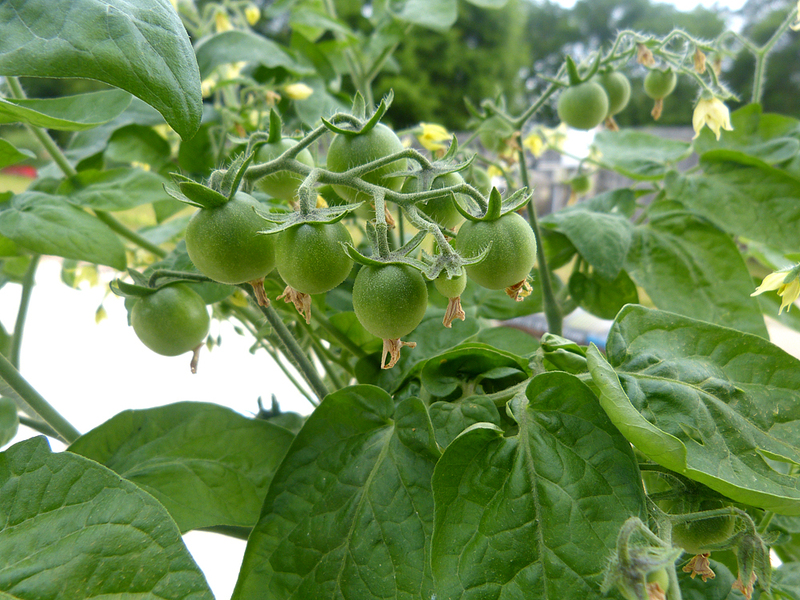 Leaves on the plant are an interesting cupped shape…rounded almost like little spoons. The taste is pleasant and sweet. 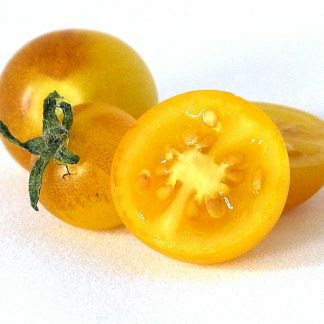 I grew a number of micro-dwarf varieties in my garage under T5 lights through the winter. 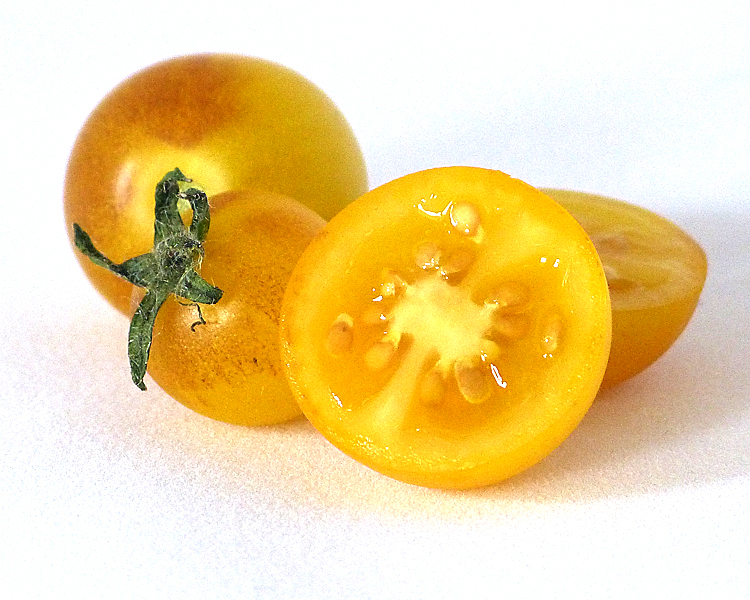 Gold Pearl outperformed the others in plant vigor, earliness, and flavor. 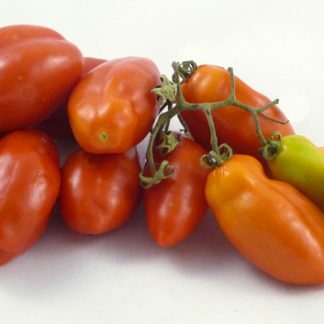 And although cherries are not my favorite type of tomato, I have to say that it is very pleasant to have fresh homegrown tomatoes of any size to eat in the winter and early spring months.